Like we did last year, each of our senior photographers picked their favorite cover that they shot and shared the story behind it. Enjoy this peek behind what goes into a TransWorld cover. The Chris Pfanner gap to 5-0 was my favorite this year. Straight up gnarly. We had a really good trip running from the rain in Basque Country down to Barcelona, and Pfanner was on a hot streak. It was a really productive trip, but this set off to another level. He was a couple months shy of having his son Max, so there was a level of commitment that you always get form Pfanner, but something extra was pushing him. Crouched with my back to a wall, there wasn’t any place to go if his board shot out or he slammed on the rail – fortunately he locked it in and within 8-10 tries he was riding away from one of the hairiest stunts I’ve seen him do so far. It was at the end of a good day filming for the upcoming Vans video, and the footage will no doubt confirm Chris Pfanner as one of the gnarlier skaters out there. The fact that it was chosen as a cover was just a great finish to a great trip, and it gets the vote for my favorite cover of 2012. Dennis’s cover is my favorite from 2012. I was going out with Dennis and Dan Wolfe occasionally while they worked on Dan’s section of The Cinematographer Project. This was on a typical day where we’d meet up at 9 a.m. and be done by 1 so that Dennis could go look after his boys while his wife Julia was at art school. I love how Dennis skates 3rd and Army a lot and still manages to come up with new tricks and lines there. On the new version of Apple maps, if you look at 3rd and Army, you can even see his van parked in the background. Obviously a backside noseblunt-slide around the curved ledge is bonkers, and I’m stoked to have witnessed the magic. I got the most positive response for this cover of any I’ve shot, we all want to skate like Dennis. This photo was from a Supra NYC trip that I went on. The tour was amazing with the funniest memories of skating, partying and hanging out with the team. Everyone got along on the 3week trip without any problems and got tons of great footage and photos. It’s rare that a trip goes so smoothly without any kinks (a fight, someone flying home early or a moment were someone cries) NYC is my second most favorite city in the U.S. besides Los Angeles, California. I mentioned to Neen that if he ever gets a pro shoe for Supra he should use this silhouette of the heelflip as his icon like Michael Jordan’s slam dunk icon. Neen foot is fully kicked out as if he’s doing a karate kick. He does heel flips like no other and I think he looks picture perfect in the image. It is amazing looking at Lance's photo and seeing how much the valley in the background has been developed. Most people in the past have skated this spot with bigger softer wheels or a wooden roll in, Nick had the option of both on this day but he chose to roll in on some 52mm Spitfire classics, a fact that might seem a bit irrelevant here but when you're at the spot you can see it makes all the difference. 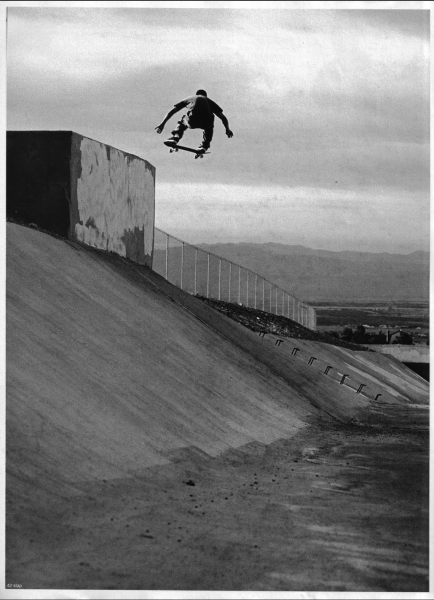 Of all the issues we put out in a year, it seems that the am issue cover is the most heavily competed for and Nick's hurricane beat out some heavy contenders, so it was cool for that reason, but it was the cherry on the cake when the Element video Future Nature dropped and not only did Nick have the last part but this was his last trick. I love shooting photos with Nick–his skills on the board are plain for all to see but he's such an uber human to be around that getting a photo ran of a trick he's hyped on makes it mean so much more, I can't wait to go out skating with him again.